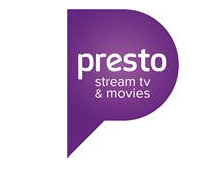 Presto today announced it has secured subscription video on demand (SVOD) rights in Australia to a number of NBCUniversal (NBCU) comedy and drama programs, thus enabling Presto TV and Presto Entertainment bundle subscribers access to these popular series. Presto TV will be the exclusive SVOD home to the complete seasons of the hit Irish comedy series Mrs Brown’s Boys starring Brendan O’Carroll. Presto TV and Presto Entertainment subscribers will have access to watch all three seasons of Mrs Brown’s Boys in addition to two Mrs Brown’s Boys specials: Buckin’ Mammy and Who’s a Pretty Mammy?. The live stage show, Good Mourning Mrs Brown, will also tour Australia in early 2016. As part of this deal, Presto has also acquired the SVOD rights to the multi-award winning and nominated NBCU comedy series 30 Rock (seven seasons) and Parks and Recreation (five seasons initially) in addition to critically acclaimed dramas Grimm and Heroes. All of these series will arrive on Presto and be available to stream on demand beginning today (Monday, August 24). Presto has also acquired from NBCU the drama series Bates Motel, which will join the service in December. “NBCUniversal is a prolific producer of quality popular content and we are delighted to be able to offer Presto subscribers some of their most iconic shows including comedies Mrs Brown’s Boys, 30 Rock and Parks and Recreation and drama series such as Heroes, Bates Motel and Grimm,” Shaun James, Interim CEO of Presto TV, said. For new subscribers, Presto is currently offering a free 30-day trial^ of the Presto Entertainment bundle subscription. Brendan O’Carroll stars as Agnes Brown, a loud-mouthed Irish matriarch who runs her house with an iron fist and whose favourite pastime is meddling in the lives of her six children. Produced by the BBC, The sitcom also stars Jennifer Gibney, Dermot O’Neill and Paddy Houlihan. Based loosely on the backstage goings on of hit variety show Saturday Night Live, 30 Rock is told through the comedic voice of Emmy® and two-time Golden Globe® winner Tina Fey as variety show producer Liz Lemon. The series also features Alec Baldwin as top network executive Jack Donaghy and Tracy Morgan as Tracy Jordan, the unpredictable star of Lemon’s hit variety show, “TGS with Tracy Jordan.” All seven seasons of 30 Rock will be available to Presto TV and the Presto Entertainment Bundle subscribers. A hilarious ensemble comedy that follows Leslie Knope (Amy Poehler), a mid-level employee in the Parks and Recreation Department of Pawnee, Indiana and her tireless efforts to make her American town just a little bit more fun. The series also stars Rashida Jones, Aziz Ansari and Nick Offerman, Aubrey Plaza, Chris Pratt, Adam Scott and Rob Lowe. Bates Motel is a contemporary prequel to the genre-defining film Psycho and gives a portrayal of how Norman Bates’ (Freddie Highmore) psyche unravels through his teenage years. Fans discover the dark, twisted backstory of Norman Bates and how deeply intricate his relationship with his mother, Norma (Vera Farmiga), truly is. Bates Motel will join the Presto service in December. Inspired by the classic Grimm Brothers’ Fairy Tales, Grimm tells the story of Portland homicide detective, Nick Burkhardt (David Giuntoli), who discovers he is descended from an elite line of criminal profilers known as “Grimms”, and increasingly finds his responsibilities as a detective at odds with his new responsibilities as a Grimm. People all over the US start to realise they have special abilities, like telekinesis, healing abilities, flying powers, time travel, invisibility, and the ability to absorb other’s abilities. One man, known as Sylar, wants to gain all the power of these “heroes” to become the most powerful of all, and stops at nothing to kill these people. In order to protect themselves, these people must help one another before Sylar can destroy them all. All four complete seasons of Heroes will be available to Presto TV and Presto Entertainment bundle subscribers.